Motivated seller! Possible owner financing! Neat as a pin & ready for immediate occupancy! Enjoy morning sunrises form the southeast facing lanai! Lakeside Hideaway is one of the newer condominium complexes in the non-gated area of Bonita Springs. It’s been built with some of the latest storm codes including impact glass. This is a third floor unit serviced by an elevator. his end unit is light & bright offering 3 bedroom/2 bathroom with private laundry. The interior is in superb condition &has been repainted in neutral tones. Tile is throughout. The kitchen has new Whirlpool stainless steel appliances with five year warranty. Kitchen upgrades include crisp white, slow-close cabinets/drawers, granite counter tops, stunning glass/stainless steel inlaid back splash. There are also new improvements of beveled vanity mirrors in the bathrooms, granite counters and cabinet bases in the bathroom. It’s like new! For the dog lover the pet policy reads 2 normal domestic pets with no weight limit. 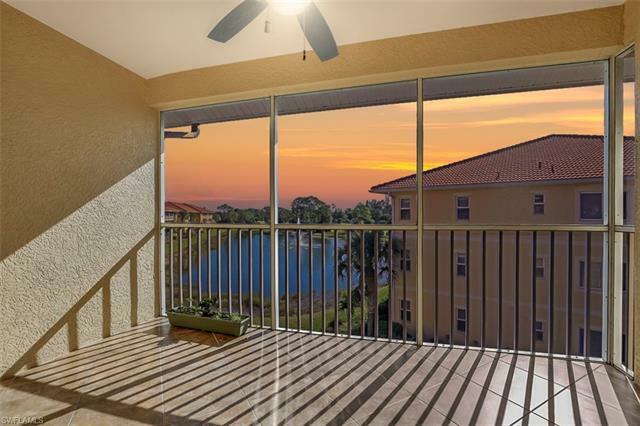 This is a great location with Bonita Beach only 15-20 minutes away and dining and shopping at Coconut Point is only about 7-10 minutes away. Upgrades list available in supplements/addenda.